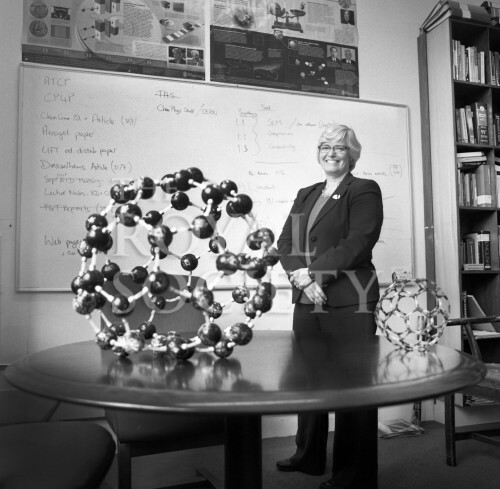 Full length portrait of Eleanor Campbell standing in her office next to a white board and behind a table with two molecular models. Taken at the University of Edinburgh, September 2017. Eleanor E B Campbell is a British physical chemist, she was elected a Fellow of the Royal Society in 2010.